A man finds an antique invention that is said to give its user eternal life, though using this device may have some unforeseen consequences. Would you trade your humanity for a longer life? Apparently, some people would, and there are some who would even kill for it. "Cronos" is the first feature-length film written and directed by Guillermo del Toro. It stars Federico Luppi as Jesus Gris, an antiquities dealer who discovers an odd little ancient machine inside one of the angel statues he has for sale in his shop. He doesn't really know what the device does, but there is a man out there who does know and is looking for it. Claudio Brook plays wealthy businessman Mr. De la Guardia, who desperately wants to get his hands on this device, which he knows grants its user everlasting life... with a few massive side effects. He has sent his nephew Angel, played by Ron Perlman, to get it for him by any means necessary. Guillermo del Toro is one of the most imaginative filmmakers out there, and "Cronos" shows he has had that amazing imagination since the very beginning of his career. What this film winds up being is del Toro's take on the vampire mythology set around a clockwork device that drinks the blood of its user. It is an engaging and sometimes humorous tale. There are elements of drama, horror, fantasy, and even a little bit of heart. There is an interesting dynamic in the story where protagonist Jesus Gris knows he is being affected by the Cronos device, but doesn't know how or what it is really doing. The only one who can help him and offer the answers he longs for wants the device for himself and will stop at nothing to get it. The film also has a touching family dynamic between the kindhearted Gris and his granddaughter Aurora, played by Tamara Shanath, who helps her grandpa despite his recent changes. There also the antithesis of that family bond laid out between De la Guardia and his nephew Angel, who is forced to do his uncle's bidding out of obligation in the hopes of inheriting his millions. Therein lies a bit of irony: if Angel completes his task, he will not get what he wants, but if he upsets his uncle by failing him, he also won't get what he wants. Federico Luppi, Ron Perlman, and Claudio Brook all put on great performances in this movie. 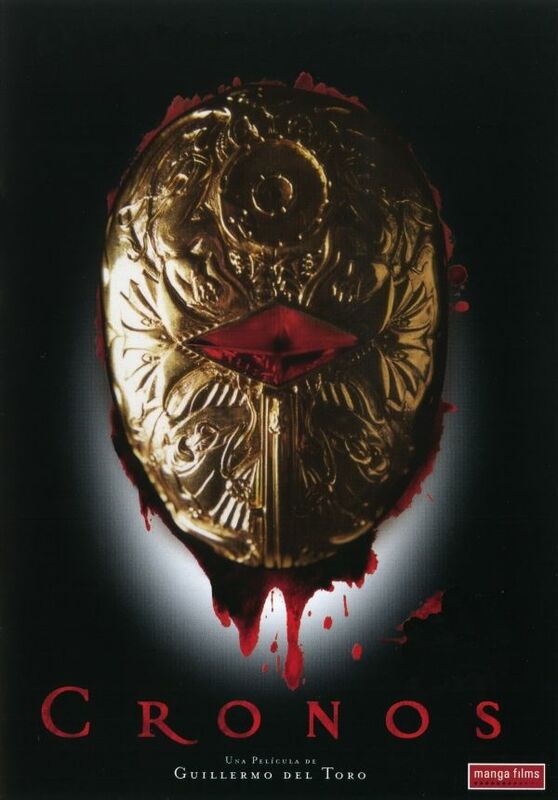 While "Cronos" isn't our favorite Guillermo del Toro film, it is still a very good movie that showed what talents and potential he was capable of very early on in his career. It is a horror film that restrains itself but still has enough blood, gore, and intrigue when the story calls for it. This is definitely a flick worth checking out for its makeup work, macabre themes, and an interesting premise.